Ever wondered how a website gets online? If you have recently finished creating your own site, or you have one currently being designed for you, you’ll know the next big step is getting it online and live. This is where website hosting comes in . Think of your website as a series of documents on your computer (images, videos, HTML files etc). Just as a Word document has to be saved and stored on your computer, so too does your website need a computer to store it. The big difference is - you want your website to be seen by the general public. 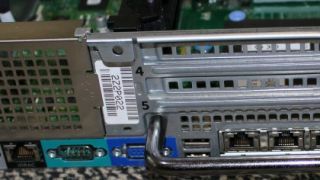 For this to happen, the computer it is stored on must usually be of a much higher specification than your own PC, and connected to the internet through a dedicated link. This dedicated link is known as a static IP. Dynamic IPs, as is the case at home, refresh every so often resulting in a change in IP address. While this isn’t necessarily a bad thing, static IPs do provide an advantage. Every time a dynamic IP refreshes, you run the risk of downtime on your server. Additionally, static IPs allow you to run an FTP (File Transfer Protocol) server – meaning you can easily move files from one computer to another - as well as being able to have your own private SSL certificate, something we cover in another article. The computer where the web pages are stored is called a web server. It stores the information used to render web pages - on request - to users of the internet. The task of making websites and web pages available to many users is called web hosting. Companies selling hosting services are actually selling disk space (as well as compute power and bandwidth) on their servers for you to host your website. A web hosting provider will have rooms filled with rows and rows of – what look like – PC towers aligned horizontally, and it’s here that you will find the files belonging to all of the websites they host. Web servers are like your computer at home, except usually much faster and more powerful. In theory, your home computer could act as your very own web server to host your website. Although we wouldn’t recommend it, unless you know what you are doing. The specialist skills needed to keep a website up-and-running are vast. If you’re not an internet security expert, hardware engineer, Sysadmin and DevOps specialist, you’ll struggle to host your own website. Hosting is a tricky business and involves technical know-how and internet wizardry that you’re better off leaving to the professionals. Focus your efforts on the content of the website instead and let the hosting company do what it’s good at. Put simply; using a good hosting company will save you time, money and make your life far less stressful.